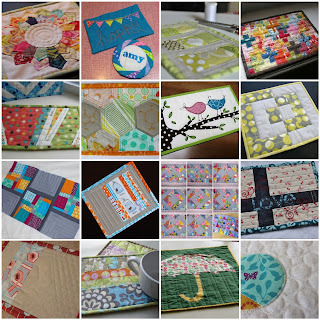 As announced at the January meeting our February swap will be Mug Rugs. This will be a blind swap, so bring a wrapped mug rug and chance determines who will get which mug rug. There is no need for a partner and if you want to participate just bring a mug rug to give and get a mug rug. What is a mug rug? 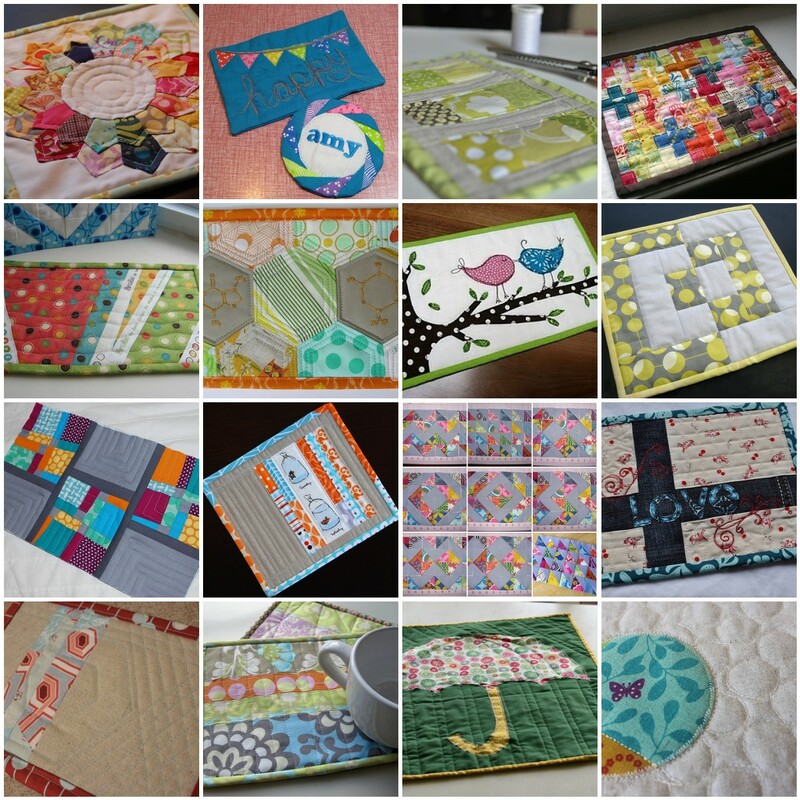 Well, I'm no expert (I've yet to make one) but the definition seems to be: small, useful, mini quilts that are bigger than a coaster and smaller than a placemat. The idea is that it fits your mug of tea/coffee/cocoa and a small snack. Probably the kind of snack that you think won't be messy enough to warrant a plate but then always manage to get crumbs next to the computer (or maybe that is just me). Megan has suggested that a smaller than usual binding suits this project and recommends checking out this Single Binding Tutorial by Very Kerry Berry. And I dug through possibly thousands of mug rug photos on flickr for a little inspiration.